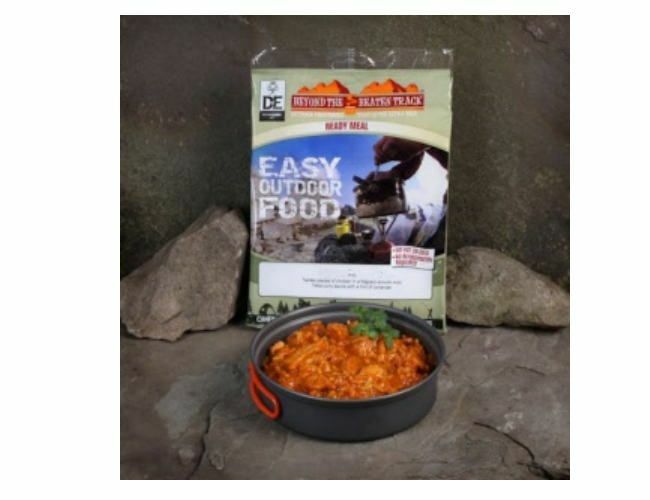 Breakfast ration packs.Smoky bacon, sausage, omelette and beans in a sweet tomato sauce . Can be eater hot or cold. Beans (29%), Water, Pork Sausages (16%) (Pork (65%), Water, Potato Starch, Rusk (Wheat Flour, Salt, Raising Agent: Ammonium Carbonates), Pork Fat, Salt, Spice Extracts, Stabilisers: Triphosphates, Diphosphates, Polyphosphates; Diced Bacon (9%) (Pork (94%), Salt, Glucose, Water, Stabiliser: Disodium Diphosphates; Antioxidant: Sodium Ascorbate; Preservative: Sodium Nitrite), Omelette (8%) (Pasteurised Whole Egg, Water, Rapeseed oil, Milk Powder, Salt, Stabiliser: Xanthan Gum; Pepper), Tomato Puree, Sugar, Modified Maize Starch, Wheat Flour, Salt, Colour: Paprika Extract; Onion Powder, Paprika, Flavouring. Contains: Egg, Milk, Gluten from Wheat.